HOT DEAL: $35 Off From Hainan Airlines! 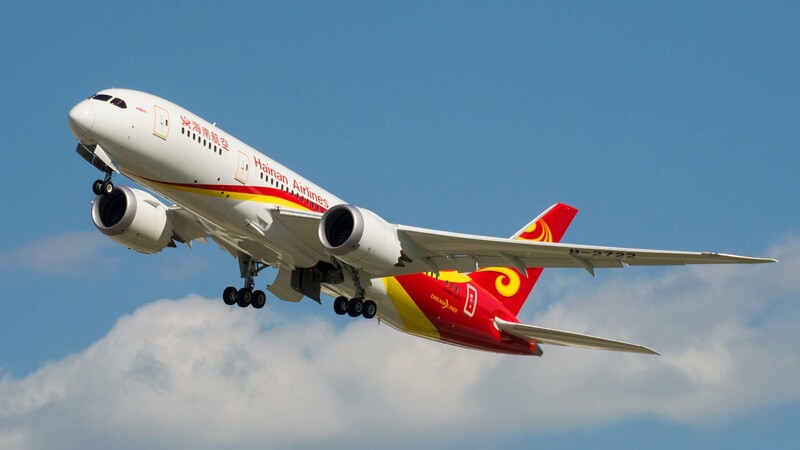 Hainan Airlines is a Chinese carrier and the newest partner of Alaska Airlines. Of the Chinese carriers, I consider them the most reliable with the best inflight service; however, they are also the smallest Chinese carrier so itineraries are less frequent and they don’t serve as many cities as Air China, China Southern and China Eastern (the three major Chinese carriers). Keep in mind that a “small” carrier in China is still roughly the size of a major US carrier. If you want to make a rough comparison, you could consider them something like the Southwest Airlines of China (except they do offer first class, unlike Southwest). Hainan has been steadily expanding service to the US, most recently between Shanghai and both Seattle and Boston. They also fly between Beijing and both Seattle and Chicago. Within the US, Hainan codeshares with both Alaska and American Airlines, but Hainan is only a partner with Alaska. You won’t get any mileage or elite benefits through American. They also also offer a lot of connections throughout Asia via their subsidiary Hong Kong Airlines. Now that you can transit China visa-free, it’s really worth considering them as an option. This is especially true now that they are an Alaska Airlines Mileage Plan partner (although only Hainan-operated flights qualify for Alaska Airlines mileage plan credit). On their Facebook page, Hainan is currently offering a $35 off coupon – and given that their flights are often the least expensive anyway, there is even more reason to try them.